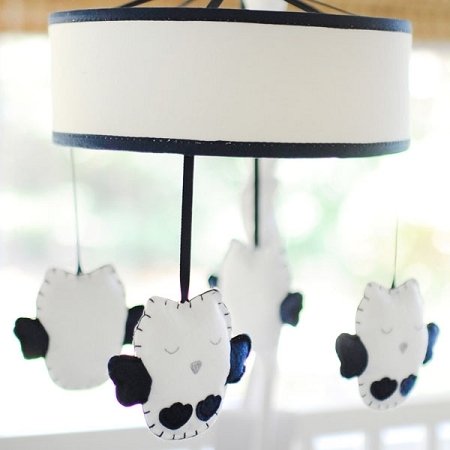 A baby mobile can be the perfect gift for a new baby! Your baby will spend quite a bit of time on their back looking up. 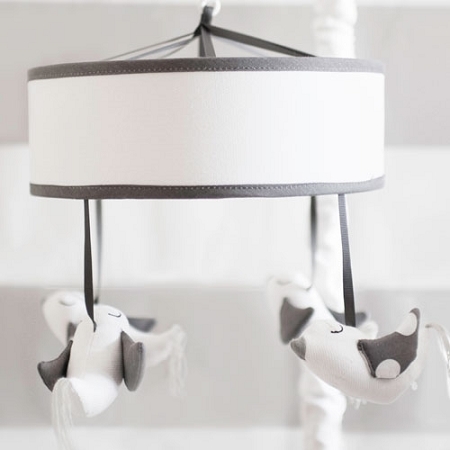 A baby mobile can be both entertaining and calming for your baby and a mobile gives them something other than a boring ceiling to look at! If your baby is fussy, letting them to look up at the crib mobile can often soothe your baby. A baby mobile can also be stimulating while your baby lays in his or her baby crib. Our baby mobile attaches directly on your baby's crib, and can be installed in minutes. Brahms Lullaby plays on our crib mobile, which is a soft and soothing baby lullaby. Just wind up your baby mobile, and it will immediately begin to sooth and entertain your baby. Our baby mobiles are simple in color so that they are easy to coordinate with a variety of baby nursery colors and styles. Choose from either our Owl or Birdie crib mobile styles. 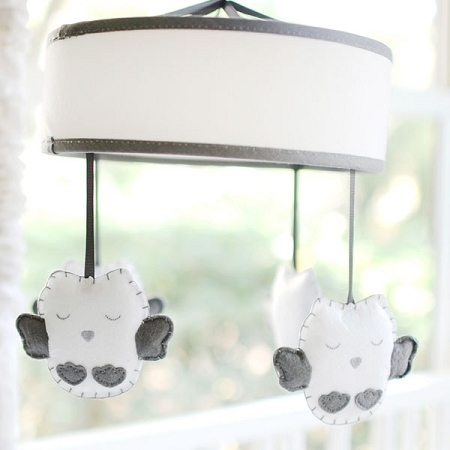 Our Owl Baby Mobile available in navy, gray or pink or a Birdie Baby Mobile comes in pink or gray. A crib mobile makes a great shower gift for a new baby!